How do I plan to use all these oranges? Well some are in the bottom of the fridge for us to eat. The rest have either been frozen whole for summer ice blocks, or processed for baking (Whole Orange Cake and marmalade). The peels from the oranges we're eating are being put in vinegar to make citrus cleaner or frozen to make candied orange peel, that I will coat in chocolate, to go into the Christmas hampers. I'm keeping some peels to flavour coffee beans too. No waste in this house! Cut the oranges into quarters, and remove pips. Put pips and lemon shells onto muslin square and tie with string to make a bag. Finely slice oranges and put in a 3-litre microwave safe bowl (or bigger if possible to prevent splashes) with the bag, lemon juice and 300 ml boiling water. Cover and soak for 1 hour. Add 200ml boiling water. Microwave on high for 20 minutes, stirring after 10 minutes, until peel is tender. Add the sugar and stir to dissolve. Microwave on high for 25 minutes until setting point is reached, stirring every 5 minutes. Be careful as the mixture can get very hot. Stand for 15 minutes, then stir and ladle into hot, sterilised jars and seal while still hot. Note: Do a freezer test after 25 minutes to see if jam will gel, if not cook in one minute bursts until gel sets on a cold saucer. Oh yum that marmalade looks delicious Cath. 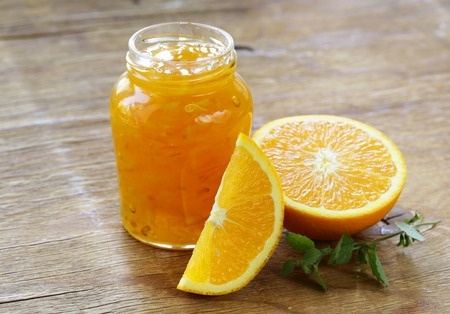 As I am still picking oranges, I might have a go at making some marmalade using your recipe. Although I may do it on the stove instead as my last attempt at making jam in the microwave flopped. It was probably me and not the recipe, but I am wary now. I'd love a week where I didn't spend any money, I try every week Some weeks I manage to only buy milk and I love that. My freezer is still full, even with the freezer challenge.